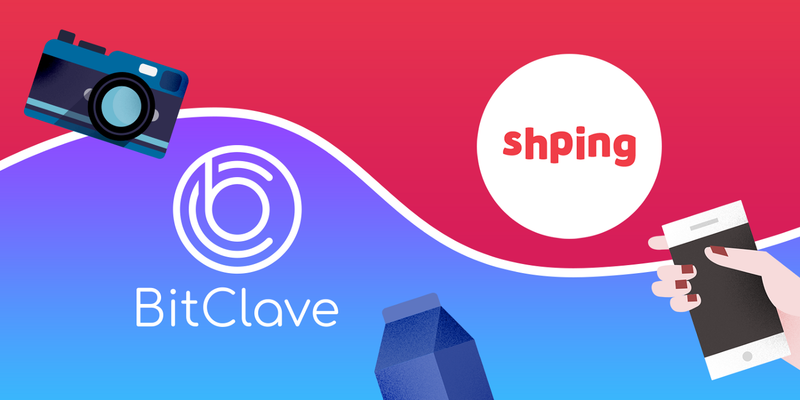 Shping, the blockchain shopper marketing, brand protection and traceability platform, has today announced it will accept Bitclave user profiles as a sign up and login option for the Shping App. The announcement will see Shping accept the decentralised search engine’s 60,000 global user profiles as a shortcut to access the Shping App, making the onboarding process more seamless for Bitclave users. Promoted as a revolutionary “product search engine”, the Shping App enables shoppers to earn cryptocurrency for scanning product barcodes to unlock important product information that can help influence consumer purchase decisions. Information such as detailed ingredient and provenance information, creative content marketing, videos, product reviews, product recall status, and authenticity checks are aggregated and revealed to users of the Shping App about the products they are considering at the critical point of purchase. CEO and founder of Shping, Gennady Volchek says that Bitclave will join VK, Weibo, Facebook and Email as sign up and login mechanisms for the Shping App. “It’s part of our vision at Shping to foster accessibility blockchain and cryptocurrency for the vast majority of people,” said Volchek..
“As shopping permeates every facet of our daily lives, we see the opportunity to make onboarding and login as easy as possible for our users, and that includes adopting identity systems like Bitclave”. “We align with Bitclave’s idea that a person’s identity is a commodity that should be within the owner’s control,” Volchek continued. CEO of Bitclave, Alex Bessonov said, partnering with next level technology providers like Shping further encourages the general adoption of decentralised search and identity control. “We are excited about this opportunity to demonstrate the utility of the Bitclave identity system, through this deal with Shping,” Bessonov said. BitClave uses blockchain to eliminate the ad service middleman. Digital Advertising revenues are skyrocketing and the only profit makers we see are the search engine and social networking giants. They cumulatively mount up-to half a billion dollar digital advertising market. BitClave is building a decentralized search engine based on blockchain technology, which proposes to eliminate the so called 'middlemen' from the system and make it democratized for both businesses and consumers. Businesses can make personalized offers to consumers who have opted in for the service. Consumers on the other hand have total control on their data and can opt into advertising and analytics services through the use of smart contracts. BitClave's identity system is based on the distributed blockchain computing platform called the BASE (BitClave Active Search Ecosystem) which primarily utilizes Smart contracts as its main technical component. BitClave raised $25 million during its November 2017 crowdsale, where investors from 130+ countries came together. BitClave is headquartered in Mountain View, CA with its team members spread across the world.